During yesterday, Apple revealed its quarterly results of Q1 of 2019 , results that obviously also include the final period of 2018. In its announcement, the company of the bitten apple showed that they managed to have their second best quarter in history . But there were many more interesting surprises! Apple indicated that, currently, there are more than 900 million iPhones in its facilities base . What is more surprising, there are more than 1.400 million active devices of Apple , in total. Although the Cupertino company did not want to disclose the specific number of units of Mac, iPad or Apple Watch. But we do know the number of active iPhone, as we mentioned ... 900 million! What madness! To give you a slight idea of ​​how brutal this figure is, let's make numbers. If the planet Earth currently has around 7,000 million people, this suggests that 12.85% of the population of the planet has an iPhone. And now, let's remove babies, children under 12 and old people from the operation. Do you realize now how impressive the figure is? Now, it is true that many people have several devices of the company, as a humble server, and many of our dear readers. The figure represents a growth of 75 million units only during 2018 . This is the first time that Apple reveals these data to us, and from now on these data will be updated periodically. 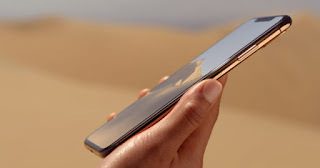 Estimates by the most influential market analysts suggest that Apple will sell 190 million iPhone units in 2019 , so the number of active devices could increase considerably this year. What do you think about this news? schätze! sene guut genug zu nutzen machen einige Ihre Ideen ! !